The quote above was a tweet from Melinda Doolittle on January 19th. The former American Idol contestant will be celebrating Dr. King day with America’s future and drummer Cindy Blackman Santana. The event is all about honoring the late civil rights leader who fought for equal rights for African Americans and fairness for all ethnicities. He believed everyone should live in harmony. 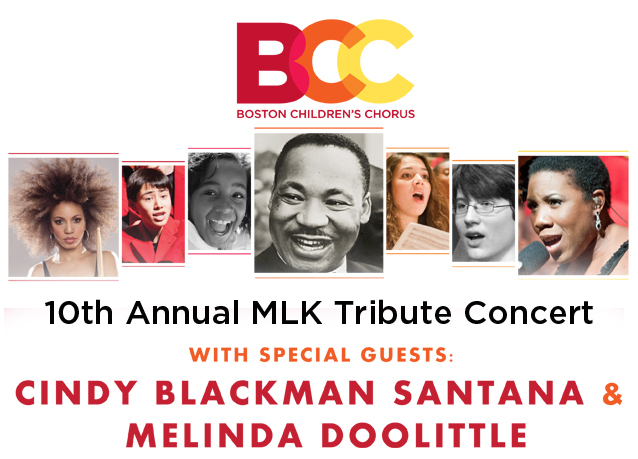 All rights to the image and quote belongs to Boston Children’s Choir Melinda Doolittle and Cindy Blackman Santana. This entry was posted in Music, News and tagged martin luther king, Melinda Doolittle, MLK Day. Bookmark the permalink.